Yes. That is absolutely true and you can also make this decent amount of money if you are a pro WordPress user just by spending less than an hour per day . Back in 2009, I did a Google search with the keywords “Frontend Searchable Database WordPress plugin” and I happened to come across a free plugin MM Forms, that featured form data submission to database. It was a form builder plugin whose forms submitted data could be stored in database and could be managed via WordPress dashboard. A really appreciating idea at the time, yet it was a simple plugin that didn’t have much else to offer. Functionality was limited to viewing only submitted entries. Entries sorting, filtering and editing was not possible. Later on, in 2010 a plugin, Gravity Forms, came up that turned heads all across the WordPress community by featuring incredible functionality in view of the developmental stage of WordPress at that point in time. It offered full featured custom form building including advanced entry management in WordPress admin panel. With the help of Gravity Forms, users were able to browse, filter and edit forms submitted entries in backend. It was an instant hit among the WordPress end users and developers alike. I tested it and discovered how easy it was to build advanced forms with multiple columns and multiple pages with Gravity Forms. But unfortunately it was not exactly what I was looking for. What I was really interested in was a tool that could allow building database applications without building database queries and PHP code manually. I tried two Windows based tools also that were to build database applications. I am talking about DB Qwiksite and PHP Runner. These were installable software and aimed at building database applications without writing PHP code manually. In other words these were automatic php code and MySQL tables generator software. I again was disappointed to find these software incomplete and insecure because a code noob could ruin his created database in a matter of seconds by making a simple mistake. Soon it was obvious that these software were in fact for the developers to make their work easy and to save their time to build an application. On testing them throughly, I skipped my idea to use them for client websites. In January 2012, As I was hunting for a real WordPress plugin which could offer data entry management functionality, I stumbled on Formidable Pro plugin and this was the first time I found something that seemed to be really promising. In addition to all form building capabilities offered by Gravity Forms, Formidable Pro justifiably boasted of an innovative feature named Custom Display. As their website stated Custom Display was to show the data gathered via forms on pages and with the help of Custom Display, it was possible to show form submitted data in desired formats with frontend data filtering, editing and deleting options. It made me very hopeful and curious and I wasted no time looking for its admin demo. Sadly they didn’t offer admin demo. Because of their 30 day money back guarantee, buying it was also not a matter to give much thought to . So I bought Formidable Pro single site license that cost me only $39 (presently $47). Having installed and activated it on my developmental WordPress installation, I began evaluating its features. I felt that its form builder interface seemed to be borrowed from that of Gravity forms and it looked 90% similar to that of former. But to be honest, it was comparatively more advanced and functional with several options to customize different form fields. Furthermore, the multi-route conditional email notifications ability of its email notification system was commendable. I was free to create as many email notifications as I wanted for a single form. After checking its email sending options, I hit its create post feature an option for every created form. Off the top of my head, I thought it yet another form of Gravity Forms simple post creation feature. But as it was, I was wrong because Formidable Pro would turn out to be the most advanced way to create posts from frontend and this feature was powered by data management ability (custom display) on frontend pages. On the face of it, custom display (later renamed as “view”) work appeared to be a difficult thing to deal with, but it didn't take more than a few minutes for me to get to understand it. I learnt quickly that custom display was the place where adding a field id displayed the field value, submitted via form on per entry basis after publishing or previewing the custom display. I added some sample entries to a created form ( entries can be added via frontend or backend) and then created a custom display, choosing form as data source. Then I added form field IDs in content section with some custom text to define field labels. Where id text represents field actual id. To my joy, custom display content section accepted HTML formatting and custom text, so that data could be shown in any desired format such as table or in any custom layout. I published my first very basic custom display and added it to a page with its unique shortcode. I was totally blown out seeing that form entries were displayed on frontend with my own created format. It was then that I started sensing the incredible functionalities of Formidable Pro regarding building data management applications. After reading plugin documentation thoroughly, I discovered how to create advanced search filter for gathered data and how to edit and delete it. I also came to know that data can be displayed conditionally i.e. based on users (a user could see only his own entries), post id, dropdown field value, date etc. There were many other features that I was able to dig out with the help of excellent technical support offered by the plugin website. Some of these cool things included conditional formatting such as text color, hiding all entries by default, comparing two or more entries, combining multiple fields value in post title, advanced mathematical calculations, pulling one form data to any other form in a dropdown field, displaying images, duplicating an entry on frontend and much more. It took around a week for me to learn everything on how to utilize Formidable Pro as a frontend data management tool. Even as I was getting to know Formidable Pro, I got a client who wanted a used car online showroom website, where he could list his cars with the help of a form and they could be shown on pages in addition to the facilities of filtering, editing and deleting cars. Also he provided me with his own layout mockup that was to be used for shown cars. I told him yes and then he moved on to asking me about the cost. I generated a proposal with the price of $500 and emailed him. No wonder it was a very decent pricing considering custom software development cost. If you hire a developer and ask him to write a custom code, you can count on the developer to charge you more than thousand dollars. As for me,thanks to utilizing Formidable Pro, I could finish the task within one or two days without not having to write even a single line of code . He readily jumped at the proposal sending $500 straight to my PayPal account. As I had expected, I finished that project within two days — 6-7 hours in total. It was not more than a week that I got my second data management project. This time I needed to set up a private employee record system so that client could add, manage, filter and print employee detail on WordPress frontend. It was still easier than the previous project and I sailed through it. ( One more thing: with the help of Formidable Pro, we can also setup frontend login, register and user profile management.) This time I was paid $350 for 3 hours of easy work. Just after two days, I was assigned to develop a custom magazine website where the client wanted to add and manage news from frontend and he requested for a custom layout with submitted news entries shown in specific home page blocks. Only Formidable Pro seemed to be able to accomplish the task with its post creation feature. To create custom layout I got Ultimatum theme that saved my life with its unlimited power of creating custom layout and custom post types. Apparently things were not going to be too easy for me this time and I had to figure out a way to get the job done. It was not that Formidable Pro was incompetent or anything, but the client's weird and odd requirements which made the job unusually tricky. By using combined functionalities of Formidable Pro and Ultimatum and putting in 12 hours on the project I carried it through and client was fully satisfied with my job. For this project, I charged him $1000 which he paid in two installments; one in advance and second one on the completion of the project. My fourth data management project was on school management that included student enrollment and management, staff and teacher management, exam result publishing and library management. It was a challenging task and demanded more work and skill. I created a price quote of $1500 but they didn't seem to agree and wanted me to make it lower. After a few exchanges of the emails between school administration and me, the deal became final at $1200. They sent money in advance via PayPal. To be honest, it was a lengthy project and I spent several hours daily for two weeks to finish this project. I created several custom displays, several forms, several filters in addition to getting help of some other free plugins such as Private Content, Membership, PHPExcec, PDF and Print plugin etc. I completed the task successfully by the deadline but I decided to avoid such large projects in future due to their demand of excessive amount of time. Later on, I regularly received data management projects but I accepted only those which could be completed in a short period of time. As I said, I did so because the time consumed in completing the job was important to me but anyone having few time concerns should not miss these types of time consuming yet profitable projects. Setting up a school exam result with the help of Formidable Pro has always been my favorite job. I can generate an online exam result display system with the help of Formidable Pro in no more than an hour. And I charge $100/ installation. I never advertise my services via PPC advertising or via any kind of advertising agency. All orders I have been getting generally come through my niche websites which boast of Formidable Pro competence in regards to data management. If I marketed my services, I could get much more work but sadly, it would be beyond my working capacity. That is why I do only 4-5 Formidable Pro related jobs per month and earn over $2000- $3000 with them. Setup a record display system such as employee, student, expense record, exam result publishing etc. Booking system such as hotel booking, doctors appointment, reservation system etc. – general information such as name, address, date of birth etc. Create one entry for each employee and assign his user ID to that entry. Create a custom display and set a filter “current user” and also add some custom code provided by Formidable Pro support. That way each employee can see entry related only to himself/herself and site administrator will be able to see and edit all entries. Create review system for site visitors equipped with multi-criteria and star rating and display rating below or above WordPress posts in a desired manner. Apart from all this, there is a lot more you can do with Formidable Pro such as creating advanced inquiry forms, large multi section forms, multipage forms, paypal integration, Twilio SMS integration, Akismat integration, visual form styling for each form, populating a field inline to add additional data, advanced conditional visibility of fields, Mailchimp integration, Highrise CMS integration, Zapier integration, Embedding one form into another one etc. Thanks for the information. its really timely. 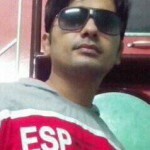 Please, i have been doing web designing for some time now, but have’nt tried wordpress. As a seasoned word press user, please where can i buy an affordable wordpress template for a project i have in hand. 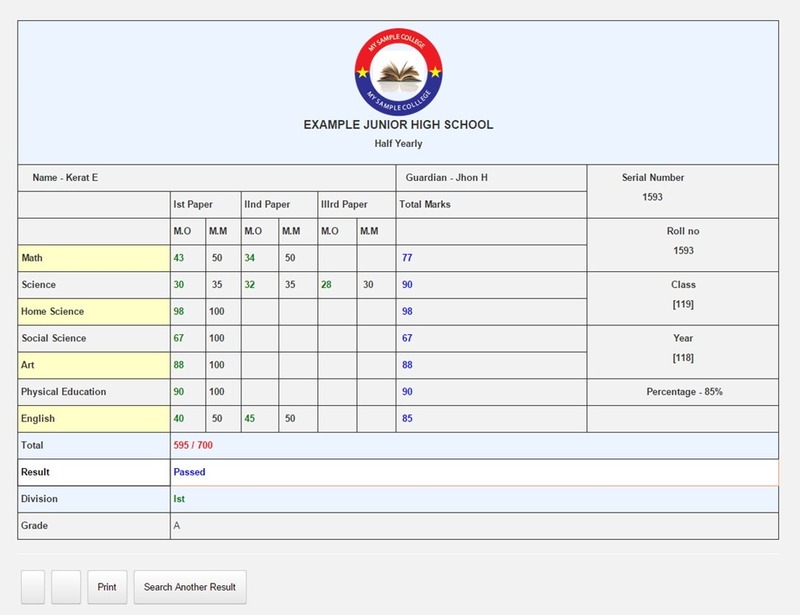 Its for a school student/staff data management website where the students can check their results online. Thanks. Look forward to hearing from you. Actually, WordPress templates a.k.a WordPress themes add just appearance to your website and not the functionality like data management. If you want to add school management functionality to your website, then you can head over to Formidable Pro or Toolset plugin. These are amazing WordPress plugins and able to convert a WordPress website into a powerful data management application. Alternatively, you can have a look on Toolset. 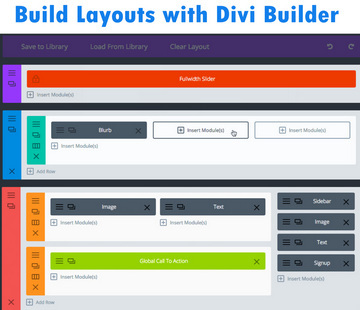 Toolset is not only a database application builder but also a layout builder for WordPress.